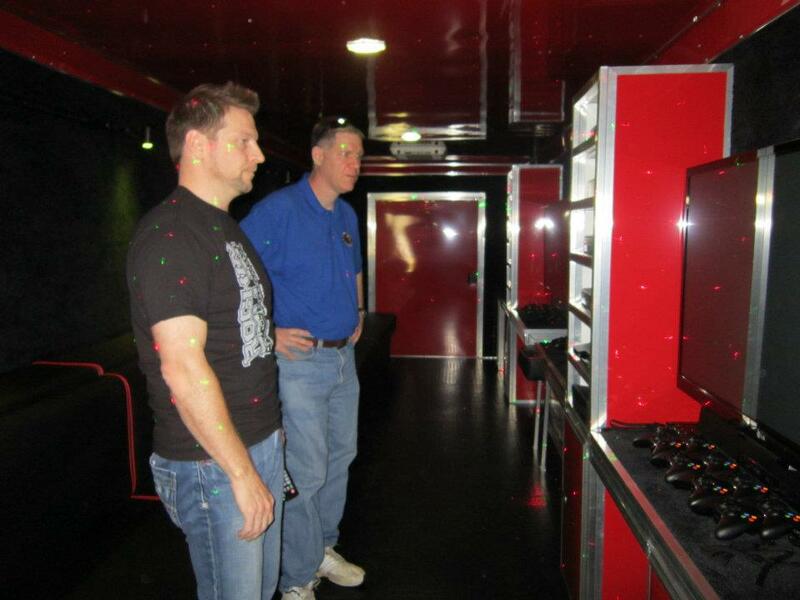 Training starts when you put down your deposit and we begin building your Mobile Game Theater. This is what you can expect from our team as we manage your training and act as your Mentors. Our team is like a finely tuned engine, churning out Successful Mobile Game Theater Owners! Our training is Client Driven. I send you a list of Steps and you have access to all of the training materials. You may need more help on Social Media and less on Video Games. Even if you don’t have a Facebook Page and haven’t gamed since “Pong” It’s Okay. Train on a Friday in your Mobile Game Theater then tag along on a busy Saturday! We get you started on your website with our web designer. The package includes site design and publishing and linking your website to the Reservation System. Your site will allow you to log in and make changes to content, pricing, photos and more. (Our web designer also includes six months of free text or still photo updates.) Our designer will use our template to set it up and will customize the content to drive local customers to you via Internet searches. You will need to provide the local content (list of cities, counties and competition) for the internet searches and buy your chosen domain name and hosting from GoDaddy.com. (Or company of your choice, provided they offer WordPress hosting.) When it is complete, you will provide us the website name, logo and phone number for the Mobile Game Theater wrap. Here’s a link to a recent website he developed for an Operator. We’ve had great luck with internet searches as a result of his content. 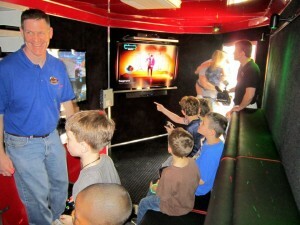 Google “Birthday Party Ideas Pinehurst”, “Mobile Game Theater Pinehurst ”,“Buy a Video Game Theater” or “Own a Mobile Game Theater” and you’ll see what he can do and what free listings can do. We will set up your Facebook Fan Page, Twitter, Google Business, Google Plus, Instagram and YouTube accounts. We will provide you pictures and testimonials to use in the beginning until you have your own. We’ll share the 3 things most Facebook Business Pages do incorrectly. We have our wrap designer contact you to start designing your Mobile Game Theater Wrap. Basic changes like your logo on each side and your contact information are included. We will give you a list of pages of free internet listings from Merchant Circle to Yelp. We will provide you links to our listings and give you the content that we know works. We will also offer assistance with finding any free sites that will drive local sales to you in your area. We will show you the best ways to find local events in the surrounding areas and how to get paid to be there. We will train you on the best ways to find the organizations in your area, how to contact them and how to book parties before you receive your Mobile Game Theater. We will set up an appointment booking system that will allow you to schedule your parties, bill clients and keep accurate records. The 3 kinds of insurance you will need. Using Email templates, Flyer Templates, Invitations and Business Card Templates that have worked for us. National networking groups that drive your business and help with local groups in your area. What you need to do to prepare for your Mobile Game Theater. Promoting and setting up your open house. Our goal is to set you up for success and make you feel comfortable running your own Mobile Game Theater business. We want you to hit the ground running and feel confident in your ability to promote, sell, manage and operate your new business. Our final goal is for you to be so successful that you will recommend us to others and be ready for another trailer after your first eight months to a year. As one of our Owners, if you recommend us to a third party and they purchase a Mobile Game Theater, we pay a referral fee of up to $1,500. If you would like to purchase a 2nd trailer, the cost is up to 10% (up to $10,000) less on the retail price of our Extreme, Ultimate, Prestige or higher model.